In Flanders' Fields and on the French and German front lines an adolescent medical discipline, barely nineteen years old, reaches full adulthood: RADIOLOGY. This diagnostic specialty's unique significance is recognized by all other medical specialties from the first days of its existence. The circumstances of the war propel radiology's development in ultra-fastforward. In addition to the diagnosis of fracture and disease, the localization of projectiles is its outstanding priority. Antibiotics are not yet in existence; thus the immediate removal of a foreign body is extremely critical since preventing infection is practically the sole guarantee for the healing, if not the survival of the wounded soldier. Amidst the desperation of a stalemate in the war the pioneer-radiologists labor like true heroes and fight their way to their patients' salvation, often at the peril of their own health. The “ray of X” becomes a ray of hope. We also remember that radiologists and their assistants are amongst the first “nuclear victims” due to the radiation exposure during their work. Despite (or thanks to?) this chaotic theatre, radiology takes a big leap forward. By the end of the war it earns its stars & bars side by side with the other medical disciplines. After the war no hospital, no clinic goes without X-rays any longer. 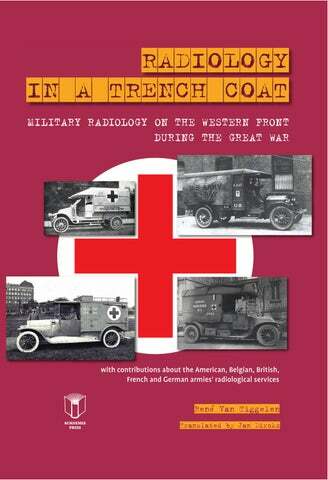 The contributions made by American, British, French, Belgian and German radiologists are extensively discussed and illustrated in a true historic perspective. From the author's background as a radiologist this lavishly illustrated 220 page book (more than 260 figures, some of them in colour) offers an overview on the subject that is probably unique in the world. A year from now we commemorate the centenary of The Great War, gone down in history as the first industrial war, a brutal slaughter on a scale never experienced before. During the First World War, the vast majority of the combatant parties possess portable equipment, mostly carried in horse-drawn wagons (Fig. 7). These wagons also serve well as darkroom. The equipment is powered by a generator supplied by a petrol engine. Fig. 7. Radiological equipment in a horse-drawn wagon of the German army between 1905 and 1910. These devices, by the same German manufacturer, differ from the portable device from the hospital in Brussels, because they are of a later date. Each one is composed of two solid oak chests with strong handles. One of them contains 24 small batteries and a second one the induction coil to produce a 35 cm spark, a capacitor, a switch with platinum contacts an ammeter and a support for a tube. The dimensions of the latter are relatively small: length 75, width 31 and height 48 centimetres (resp. 30, 12, and 19 inches). During transportation, the carrier of the irradiation device to be used is folded back underneath the case to which it is attached. The switch is stowed away in a corner of the box. It can be taken out easily through lowering a movable side board by pulling it toward the user. The ammeter is laid down and clamped along the coil when the unit needs to be transported. To operate, it is fixed vertically by putting the two metal rods of its chassis in the two holes in the wall at the front of the switch. Until 1897, all the sick who can be transported, are to be brought to the military hospital in Antwerp, for examination by X-rays. The physician, who deems the exam necessary for a soldier to undergo, will address an evacuation request for the sick to the hospital of Antwerp, and to the Inspector-General of Health of the Army. This request must be accompanied by a report summary of the medical history of the patient and it explains the reasons why it is necessary to let him undergo radiography. As of January 1898 (Fig. 10), the men from the areas one and two are transported to Antwerp, and those of the third and fourth areas to Brussels. Fig. 64. Tourist motor car equipped by the firm Radiguet-Massiot. Without radiological facilities during the Balkan War, the surgeons working for the Ottoman Empire have found the medical service to be woefully deficient. Their opponents, the Serbs, are provided with mobile (Fig. 64-65) and static X-ray facilities. 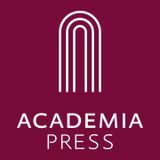 The French are pioneers in the development of motorised ambulances, and X-ray vehicles (see chapter 16) in particular. One has been tried out as early as 1904. But even the French military authorities underestimate the need for radiography at the beginning of the First World War. Many of the temporary hospitals, both military and Red Cross, have no electricity, making it very difficult to set up an X-ray service! On page 145 we report the important role played by Madame Curie. For Belgium her contribution deserves to be mentioned here. Eventually, and on three occasions, Madame Curie does not hesitate to come up to the Yser Front to deliver her radiological vehicles and equipment. Each time she is accompanied by her daughter Irène. They come in December 1914 to Veurne (Fig. 70, 71), in January 1915 to Poperinge and Hesdin, and in September 1915 also to Hoogstade (Fig. 72, 73). It is in Hoogstade that Madame Curie meets King Albert I (Fig. 74). The electromagnet attracts ferromagnetic bodies, according to their positions relative to the poles. This operation is performed at different distances. When a pole is applied to the skin that encloses a magnetic projectile, it will be attracted. It is thought that in some areas (brain, liver), the attraction is strong enough to cause an elevation of the surface. This â&#x20AC;&#x153;coneâ&#x20AC;? allows small objects to be retracted through a tiny incision at the top. Thought has been given to improving the electromagnet. If during its course to the bottom of a surgical wound of small dimensions a projectile proves to be hard to grasp with pliers, then a probe is attached to the pole itself, which thus plays the role of magnetic core and can facilitate the removal (Fig. 86). Fig. 86. Exploration of the brain surface, exposed after trepanation. The electromagnet is wrapped in a sterile cloth. Fig. 87. Use of the rod of the E. Hirtz compass and the electromagnet to remove a projectile from the brain (A). Fig. 120. Electromagnet presented by Dr. Henrard. Reconstruction of the radiological equipment. In the middle we distinguish the electromagnetic device. Wehrgeschichtlichen Lehrsammlung des Sanitätsdienstes der Bundeswehr, München. Let us recall that in 1902 the German Army, begins to equip horse-drawn carriages wherein all radiological equipment is transported and arranged in perfect order (Fig. 138): a radiological folding table, a dismountable X-ray tube holder and above all a power generator. All this allows the deployment of a radiological section in the shortest possible time lapse. Fig. 139. Cover of the 265 pages treatise, authored by the physician general W. Stechow. In 1903, W. Stechow (Fig. 140), a German physician general, publishes an important treatise, richly illustrated on the subject (Fig. 139, 141). Fig. 141. Portable radiology equipment deployed (1903) Siemens-Halske. An identical equipment was mounted in the cruiser "Aurora" (see Fig. 4, page 2). Fig. 174. Duguay-Trouin hospital ship. Note the identification by the presence of a Red Cross. Broadband on the hull is red for civilian vessels and green for the military. At the beginning of the conďŹ&#x201A;ict France refurbishes many vessels into hospital ships. The first one of them, the carrier of troops to Indochina Duguay-Trouin (ex-Tonkin. Fig. 174) is arranged in August 1914 to ensure, during the Battle of Flanders, from October 1914 to February 1915, significant transport of wounded from Dunkirk to Brest, Cherbourg, Le Havre and Nantes. It is interesting to note that it is equipped with X-ray equipment, specially designed given the relative small size of the premises (Fig. 175). After 1915, most of these and other requisitioned will be affected in the Mediterranean on the Eastern Front. Fig. 175. Radiological equipment Gaiffe, Gallot & Co low enough to be installed in a hospital ship cabin. Fig. 207. Atlas X-ray and operating table from the British manufacturer A.E. Dean. Fig. 222. Dr. L. G. Cole, president of the ARSS in 1917. Fig. 223. Maj. E. Caldwell (MD). Despite serial amputations reaching, by 1917, to his shoulder, he takes the lead in organizing radiologists for the war effort. Fig. 224. Laboratory manikins at Camp Greenleaf. School of Roentgenology, Chickamauga (GA). Fig. 225. Classic military book. Fig. 246-a. Very rapid deployment of the equipment. In the middle left F. Foveau de Courmelles, right Physician Major Stepensky. Fig. 246-b. One of the transport cases for the equipment. This system, once unloaded, allows transportation of the wounded. There is even a heating system! Fig. 246-c. Radio-surgical room, prepared under an inflatable tent, provided in the equipment. Radiology in a trench coat.